The Pacific Insurance Berhad has its roots going back to the 1950s when it was the Malayan business arm of The Netherlands Insurance Company. On 24th March 2011, Fairfax Asia Limited, a fully owned subsidiary of Fairfax Financial Holdings Limited acquired 100% of the equity of The Pacific Insurance Berhad. Fairfax Financial Holdings Limited, founded in 1985 and with its headquarters in Toronto, is a financial services holding company listed on the Toronto Stock Exchange. It is a financial services holding company which, through its subsidiaries operating in more than 100 countries with annual premiums exceeding USD9 billion, Fairfax is engaged in general insurance and reinsurance business across the globe, with total assets exceeding USD45 billion and Shareholders’ equity exceeding USD10 billion as of June 2017. Fairfax Asia Limited, which is the Asian holding company for operating entities of Fairfax Group in the Asian region, forms an integral part of the Fairfax Group. Fairfax Asia has operating entities in Malaysia, India, Indonesia, China, Singapore, Hong Kong, Thailand and Sri Lanka. With unconsolidated revenues of over US$2.6 billion in 2013, Fairfax Asia is one of the largest non-life insurers in the region. The Pacific Insurance Berhad is a wholly own subsidiary of Fairfax Asia Limited with Fairfax Financial Holdings Ltd as the ultimate parent. 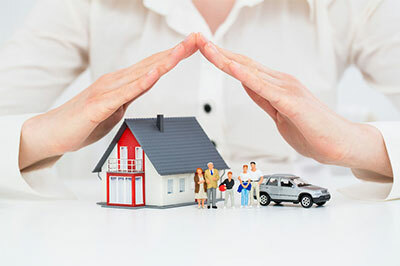 The Pacific Insurance Berhad offers all classes of general insurance and is one of the most comprehensive general insurance solution providers in the Malaysian market. The Pacific Insurance Berhad is proud to be a world-class insurance entity in Malaysia, bringing Fairfax’s global experience, product knowledge, technology and infrastructure to the Malaysian market.